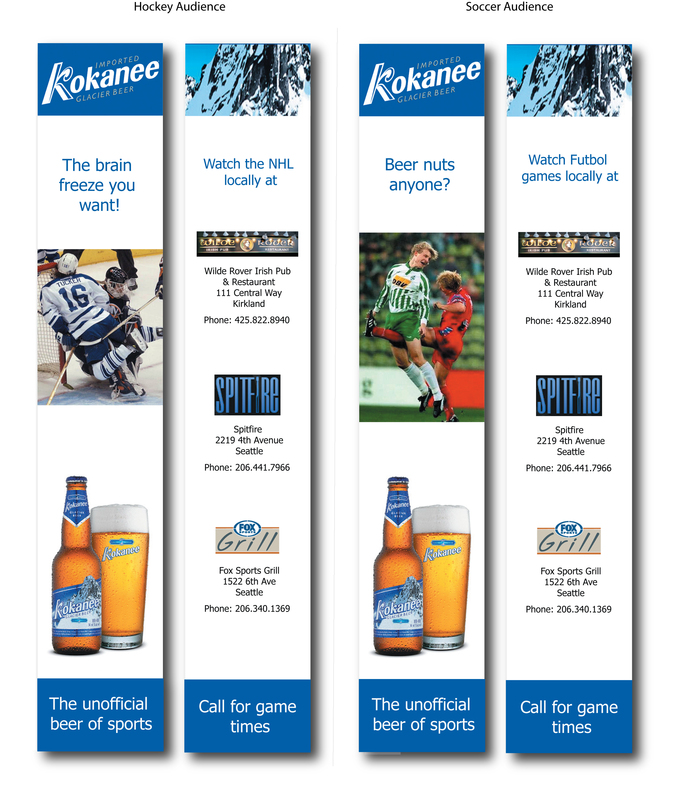 Kokanee came to me wanting to help rebrand themselves to a sports bar market. I came up with an ad campaign that featured a sports bar audience in a humorous manner, in addition, feature local accounts that promote that particular sport. Each campaign includes two vertical ads. Over a two-page spread, one ad is on each outside edge of the page and the editorial is in the middle. We wanted the ads to standout and having editorial in the middle insured that because they were the only ads on a two-page spread and the reader constantly encountered after each line read. The ads below were spec versions.